Technology ranges from fire door alarms that automatically sound the alert if somebody uses an emergency exit – both to signify that there may be a fire and to make you aware if a fire exit is used inappropriately – to fire door bolts that release when the exit needs to be used. It is particularly important to have a fire door release that works when an evacuation is in progress, so there is no delay and no risk of individuals being trapped inside, which is why this ostensibly mechanical component is often integrated into advanced fire and security systems. It’s not only fire door release that is important in the event of a fire – you also need to make sure the emergency services can access wet and dry risers, even though you might not want open access to these at other times. By automating access control to wet and dry risers, you can give fire crews a way to get to these important pipes, which provide either an empty or a pre-filled conduit for water from the fire engine to reach upper levels. Don’t forget to include emergency lighting and audible beacons as part of your advanced fire and security systems, as it doesn’t have to be night time for visibility to be severely impaired during a fire in business premises. Many internal corridors and meeting rooms may have no natural lighting at all, and smoke can quickly block out daylight from even quite large windows. 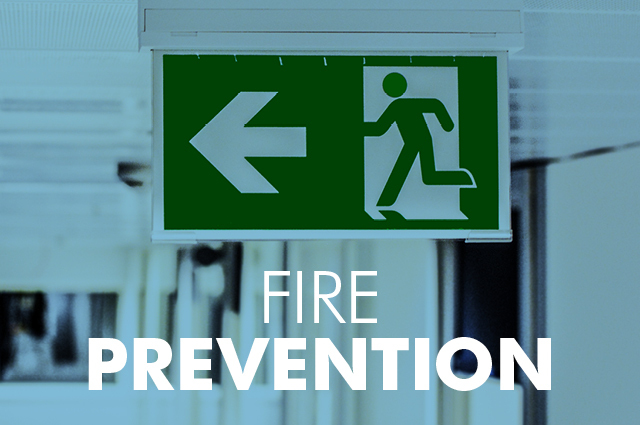 Emergency lighting ensures that fire exits are as visible as possible in the worst conditions, and can ensure staff are guided towards the doors with automatic release bolts, again to allow for the quickest and safest escape route. Prevention is, of course, better than reacting to a fire that has already taken hold, so incorporate advanced fire and security systems as part of your overall premises protection and you’ll have the best possible chance to spot a fire the moment it begins. Sprinkler systems can be triggered on a local or whole-building basis to contain and control small fires and hopefully prevent them from spreading beyond a single area. And just as it is important that your employees can evacuate quickly with no locked doors in an emergency, automated access control systems can also unlock the main entrances and exits so that emergency services can gain direct access without being accompanied. While internal security is important at all times, in an emergency the freedom to move through the premises – whether evacuating or heading in to fight the fire – can often take precedence, and a single access control system allows you to throw the switch and ensure that nothing stands in the way of those whose job it is to save your staff and your building alike.